We manufacture, export and supply Induction Furnace Parts such as Bottom Ring, Top Ring, DC Choke, Capicitor Rack & Bus Bar, Furnace Selector Switch, and Induction Furnace Coil. All the Induction Furnace Parts are corrosion resistant, have tensile strength, precision functioning and manufactured from the best raw materials. Due to all these attributes, our Induction Furnace Parts are highly demanded by the clients. 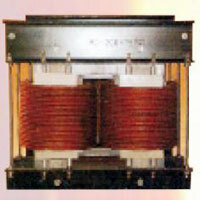 We also customize all Induction Furnace Parts as per the clients specifications, at market leading prices. The Bottom Refractory blocks are made out of refractory cement and high alumina blocks which give longer life than bottom made out of only castable material. 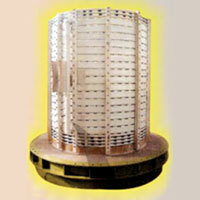 We manufacture, export and supply Bottom Rings which have high tensile strength, at market leading prices. The top refractory blocks are made out of sintered castable refractory and bolted with the Top Ring for easy dismantling of top block without breaking. Blocks can be replaced in parts. Our large iron core DC Choke reduce the rate of rise of current too dangerous level and allows fornted thyristorized convertor stop current flow within 6 â�� 8 million seconds. This protected is faster than any other circuit breaking devices with minimum risk of fuse blowing and thyristor failures. Our Capacitor Rack mounted on a robust steel structure and fitted with electrolytic grade copper bus tubes and flow monitoring stitches for fail safe positive interlock in each capacitor's water circuit path. 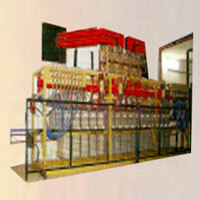 Capicitor Rack & Bus Bar is very easy to maintain and serve a long life. We provide 20% extra Capacitor for achieving full power during entire lining life, we use capacitor connection/disconnection switches to adjust required Kavar in the circuits. Our panted rugged, off â�� load, double pole; double break water cooled Furnace Isolating Switches are known for their reliability. 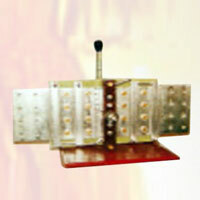 Furnace Selector Switch is available in both manual and mechanized versions for 2KA to 15 KA. Our Induction Furnace Coil is made up of electrolytic grade extruded copper in rectangular sections having high wall thickness and integrated passage for water flow, special "Step" coil is designed for maximum electrical efficiency and sturdiness. Optimum inter-turn spacing is maintained by FRP flates on coil periphery. 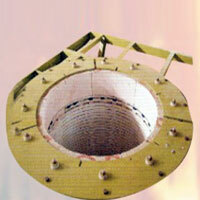 Top and bottom stainless steel cooling coils maintain uniform temperature gradient throughout the refractory. 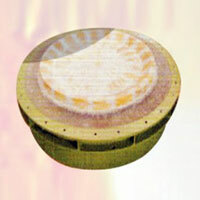 Induction Furnace Coil prevents overheating and enhances refractory life. Large magnetic shunts (Yokes) cover 70% of coil periphery which minimizes stray loss and improves efficiency besides providing rigidity to coil cradle assembly.